When disco pioneer Giorgio Morodoer released a colorized version of Fritz Lang’s Metropolis – featuring a soundtrack with Billy Squier, Pat Benatar and Adam Ant, no less – film purists everywhere howled with disbelief at how the film’s moody black and white had been turned into Easter egg pinks and blues. It felt like a gimmick and, worse, it just didn’t look real. 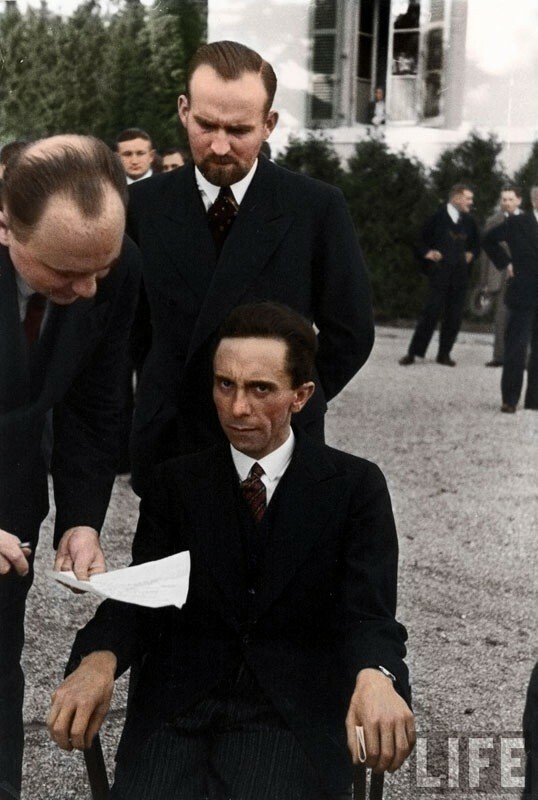 Colorization has come a long way since then. In the hands of the right Photoshop wizard -- like artist Dana Keller -- a colorized photograph of, say, the Oklahoma dust bowl or turn-of-the-century Coney Island gives viewers the chill of the uncanny. People and things that have long since departed this world suddenly seem vital and alive. It makes that foreign country called the past feel eerily familiar. 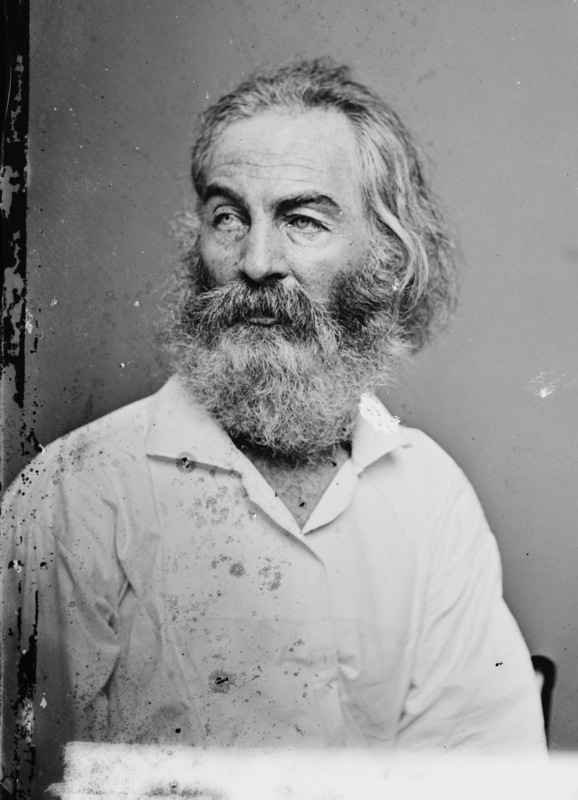 Above is a picture of poet Walt Whitman. His trademark long hair and Karl Marx beard would look right at home in certain corners of Portland. Apart from that, there is both a sensitivity and ferociousness about this picture. 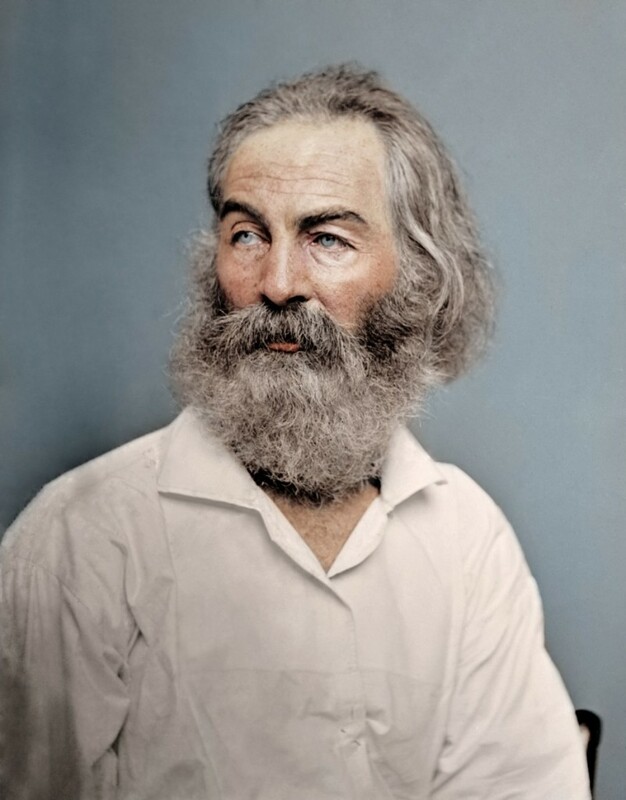 Whitman definitely looks like he’s capable of delivering a barbaric yawp. You can see what the picture looked like in its original black and white here. Likewise with this portrait (original here) of Mark Twain. You can almost hear him make some pithy comment like “A photograph is a most important document, and there is nothing more damning to go down to posterity than a silly, foolish smile caught and fixed forever.” As you can see from the picture, Twain didn’t take that risk, opting for more of a whiskery scowl. This picture of Joseph Goebbels (original) staring down a Jewish photographer is simply terrifying. It’s the sort of death stare common among psycho-killers, death row inmates and, apparently, Nazi propaganda ministers. And this picture of a humble burger flipper from 1938 is so crisp that it looks like it might have been taken yesterday. 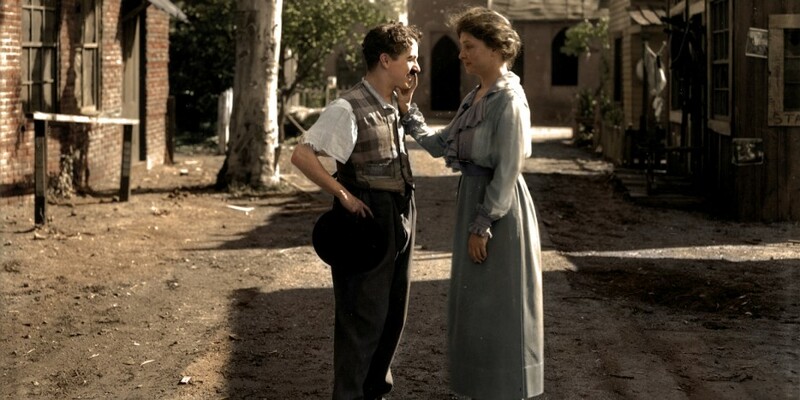 If you have an hour to kill, you can see many, many more colorized pics from the past over at Inspire 52. A big H/T to Natalie W. G. for sending these our way. Great photos. However, I fear that I have become a dinosaur. I prefer the original black and white photos in every instance. Adding color to these or any historic photos is pointless, self-indulgent endeavor. Why ruin old photographs? I don’t see the point of painting by numbers. Great works of art. 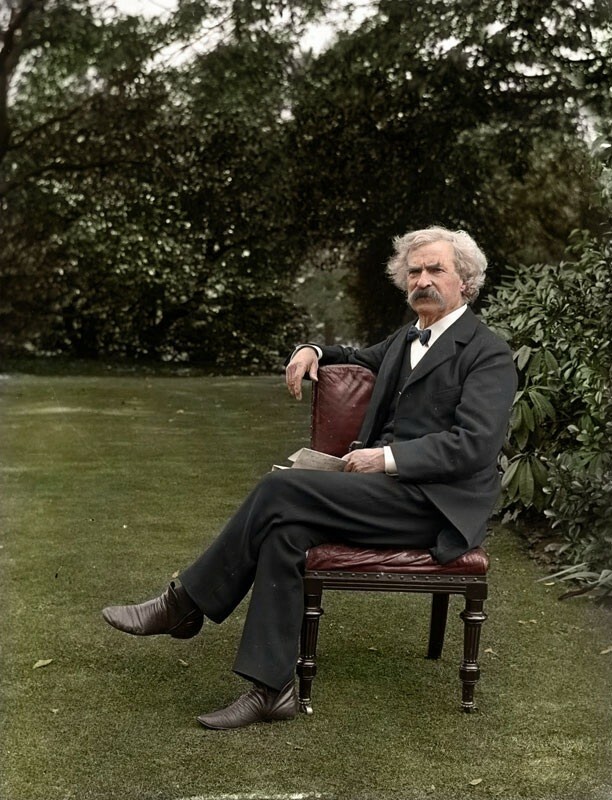 In the Mark Twain picture, he seems especially alive and present. Never seen anything like that before. The color jumps out, freshens up the energy, livens up the personality. Beautiful artwork. 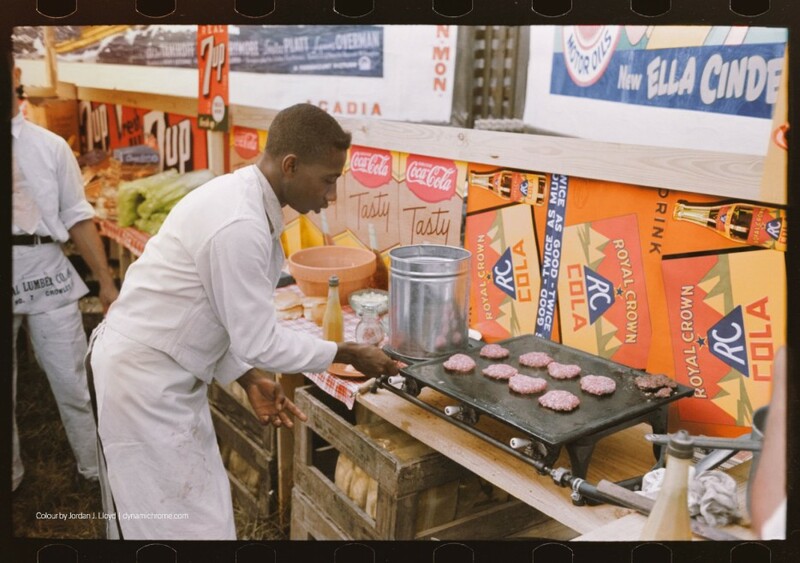 See the photo of the “humble burger flipper.” That is from 1938! How new! How complete in visual information! How vivid! It completely bridges the “distance” (of understanding) between the past and the present.